If sardines produced a horror film, the vicious serial killer would be a sailfish. Sailfish (Istiophorus platypterus), named for their sail-like dorsal fins, brandish elongated knifelike bills and swim at speeds up to 110 kilometers per hour—12 times faster than Michael Phelps. 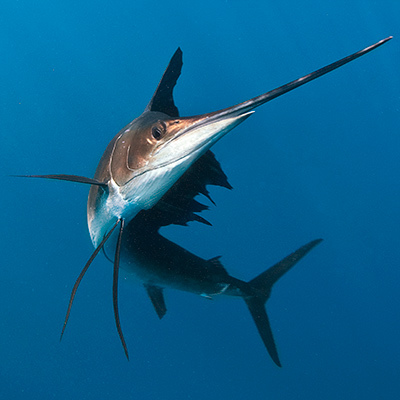 The function of the pointy bill eluded scientists, though some argued sailfish wield the appendages as a weapon when hunting schooling fish.